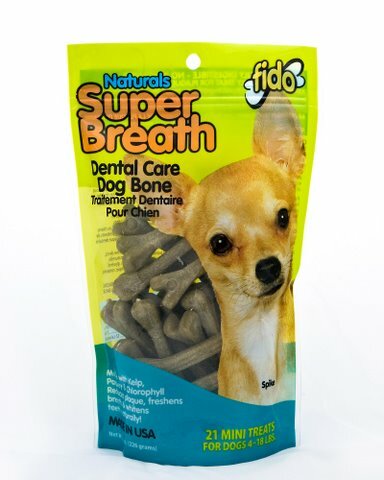 Super Breath— dogs can't resist! These bones are pressure molded not baked. 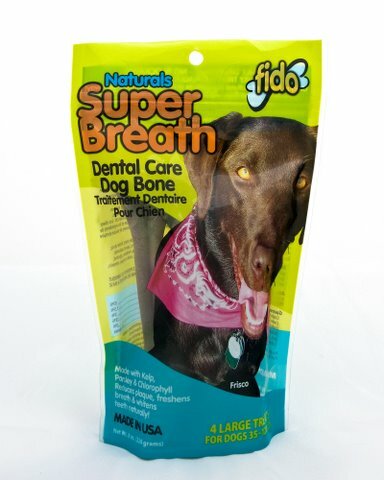 They taste great, are healthy and safely digest, unlike rawhide that have a risk of blockage. 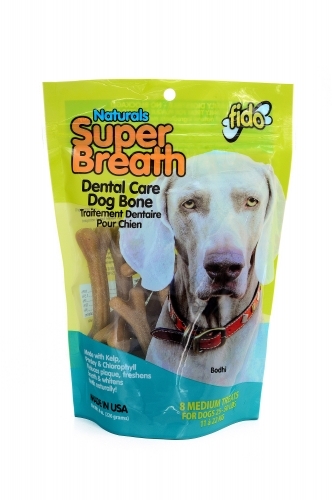 Please always supervise your pets so they do not gulp our treats without chewing them first. Proper size of treats depending on breed is recommended. Calorei Content: Lg/215, Md/102, Sm/66, Mini/40 per bone. Sizes: Large = 5-3/8", Medium = 4", Small = 3-3/4", Mini 3-1/4"
Ingredients: Potato flour, rice flour, vegetable glycerin, potato starch, natural flavor, dried kelp, canola oil, parsley, lecithin, flaxseed oil, citric acid(preservative) and alfalfa.